In this extended YYreZidency, Alexandre David will develop a new site-specific work for YYZ over the span of two months. Our everyday architectural sensations are a necessary background for his work in sculpture. Architecture is not referenced as a subject, rather, it relies on the way we as humans walk with ease through doorways, walk alongside walls, turn corners and sit on benches. David works with standard heights of ceilings, tables, benches and steps. Often, he attempts to create an architectural sense of space through the experience of a self-contained object. Some of his work also attempts to blur the boundaries between public and intimate spaces or between a space one can only look at and a space in which one can move around. 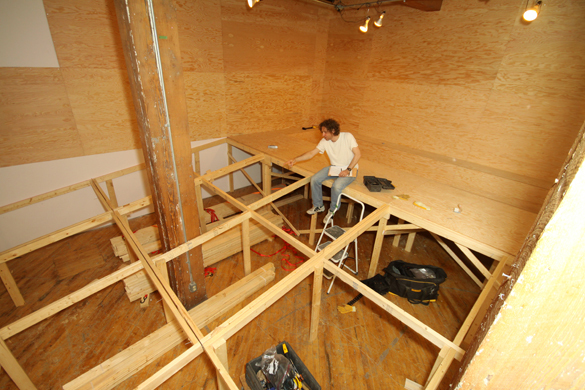 The intention of David’s work is to reorganize a space only for a short period of time. ALEXANDRE DAVID received his Masters of Fine art from the Slade School of Fine Art, University College London in 1990. David’s work has been exhibited internationally throughout museums and galleries in Canada, the United Kingdom, the Netherlands and France. 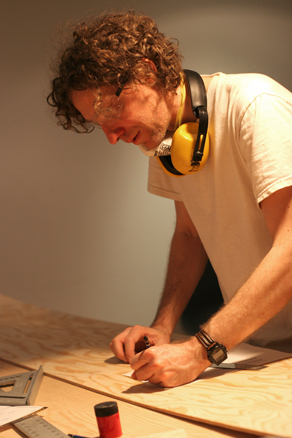 He has held solo exhibitions at Optica and Dare-Dare in Montral and La Chambre Blanche in Qubec City (2007) and at Aceartinc in Winnipeg and Grunt in Vancouver (2009). David currently lives and works in Montral. 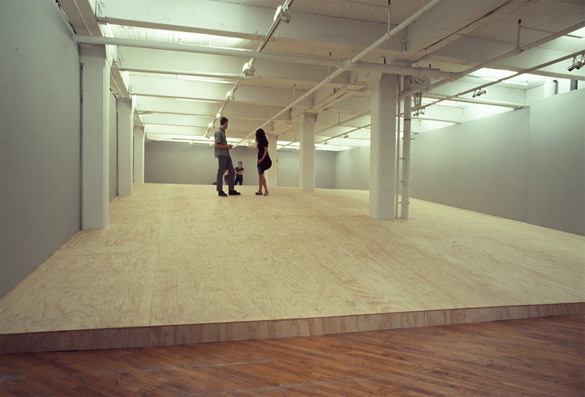 Read CAROLINE DIONNES Moving Around, an essay about ALEXANDRE DAVIDS exhibition.